Kimonos are a great affordable way to extend your wardrobe by adding something special to casual outfits for a completed chic look. There are so many styles and colors available, the combinations are endless. This khaki version is a nice transition into Fall or Spring. I purchased this kimono from Amazon, shopping links are provided below for your convenience. I am very pleased with the quality and easy care of this lightweight kimono from Amazon. Since we are still HOT here in Georgia, it will be a few months before we actually feel any cool from Fall weather. 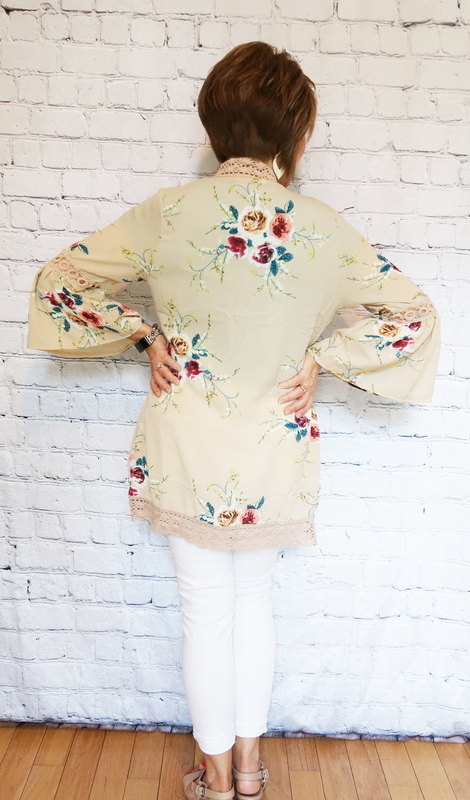 In the meantime, this khaki floral kimono is a nice transition from Summer to Fall with the neutral tone and just a touch of floral. It is a nice weight to keep the chill off when shopping, dining out or going to a movie when the air conditioning can be a bit too cool for comfort. A kimono is the third piece that completes an otherwise casual two-piece outfit. A t-shirt and jeans easily transforms into a dressy casual look with the kimono and a few focal point accessories. Plus, the bell and flutter sleeves continue to be a fashion statement that is not stopping any time soon! Kimonos are a nice way to cover skin and other areas when we are not in the mood to show them. A lightweight fabric hangs nicely without too much drape or flowy bulk. Keep proportion in mind when choosing a kimono as well. 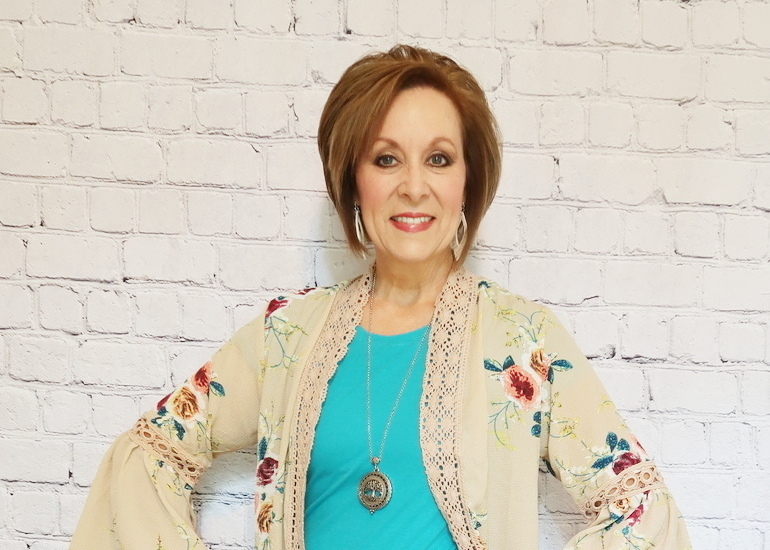 I am 5’1″, so this kimono gives a balanced look without being too long or drapey around the sides and under the arms. Let’s talk about the accessories: Reader Pendant, Die Cut Earrings and Fitbit Charge 2 Fitness Tracker! 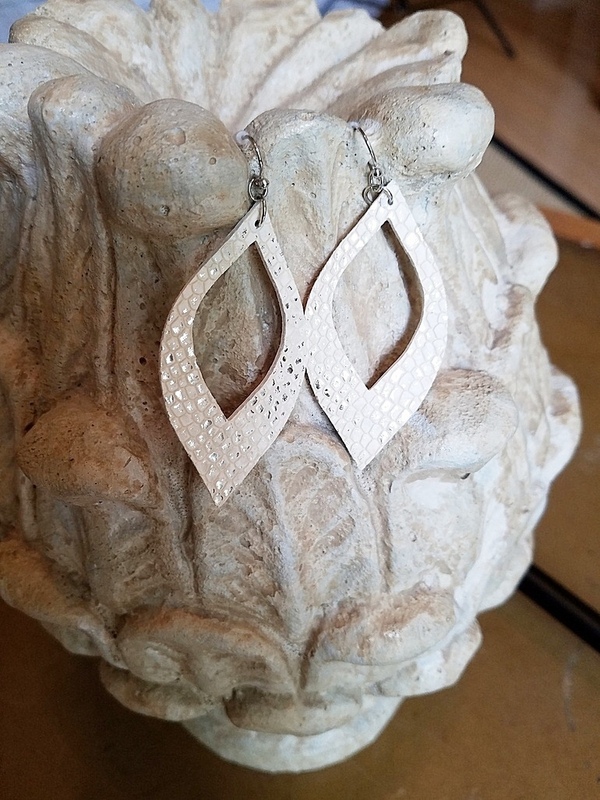 This is another great reader pendant that I purchased from Amazon. You can read about my other one in a previous post through the links below. 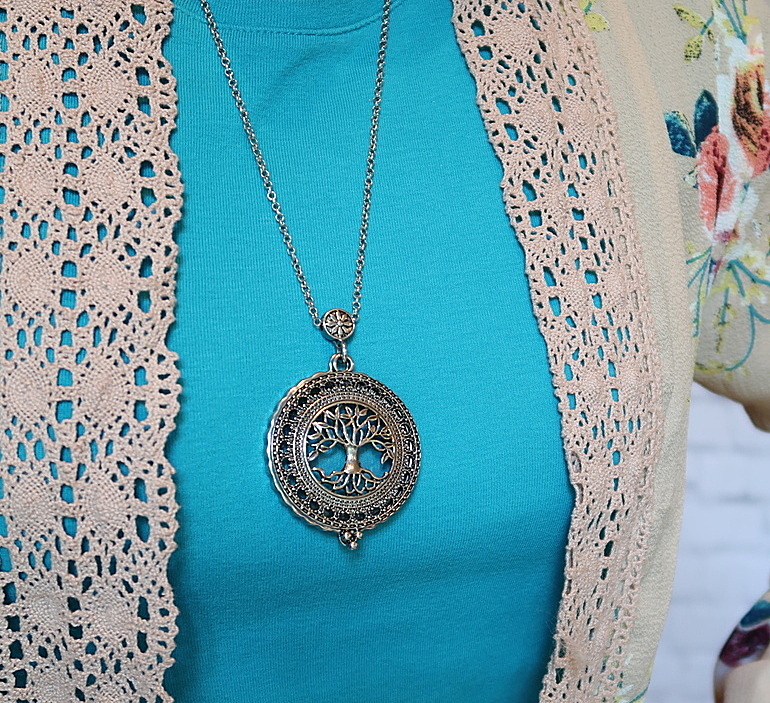 This “Tree of Life” magnifier reading pendant goes with all of my other silver accessories. The magnetic tree embellished cover slides over to reveal the magnifier which is handy for reading a menu or small print on the back of a box or bottle. You wouldn’t want to read a whole book with it, but it is stylish and handy when you don’t want to pull out your reading glasses. You can read about my vintage-look glass reader pendant worn with my handkerchief hem tunic in a previous post HERE. If you have always wanted a fitness tracker, don’t miss this deal on the Fitbit Charge 2: I just updated my old Fitibit from the little clip-on “Zip” to the multi-feature Fibit Charge 2. My Fitbit tracker keeps me accountable to my walking routine and I can sync up with my friends who also wear Fitbits for different types of fun walking challenges. I like the Fitbit Charge 2 because it not only tracks my steps, but it let’s me know my heart rate, how many hours I have slept, it has a relaxation mode when you need a break from your day, it has message notifications from your phone, it serves as a watch, and several other things. Right now, it is on sale for $30.00 less than what I paid for mine two weeks ago, which was full retail. At that time, Best Buy and Amazon had the same price, so I bought mine locally since my old one had totally croaked. That is a huge savings and Amazon has easy returns if you change your mind about it within a few days. I will be posting my fitness over 50 routine very soon, this is just a highlight so that you can get in on this great sale! Your Fitbit Charge 2 will come with a basic band in your choice of colors. Below this picture is my description and link for the upgraded beaded band that I ordered separately. Who says that fitness can’t be stylish? I purchased two different bands for my new Fitbit Charge 2 to make it more stylish since I want to wear it as much as possible to record my steps and physical activity. I found a huge variety of fashion bands for my new Fitibit on Amazon. 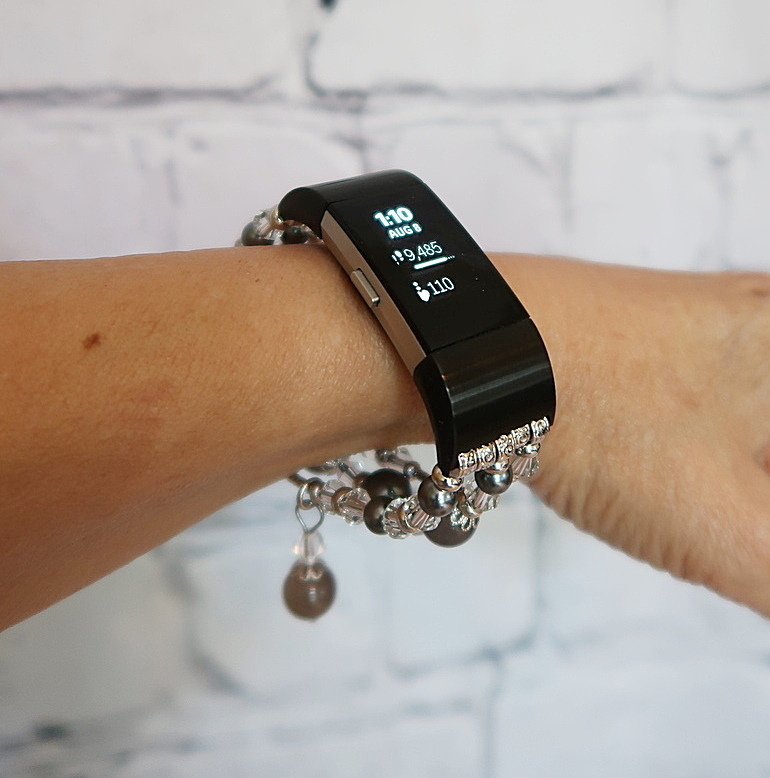 This beaded band adds some style and bling to my tracker and goes with just about anything I wear. The bands are easily changeable with a quick snap-off and snap-on. You can find this band through the link below in others colors and sizes. 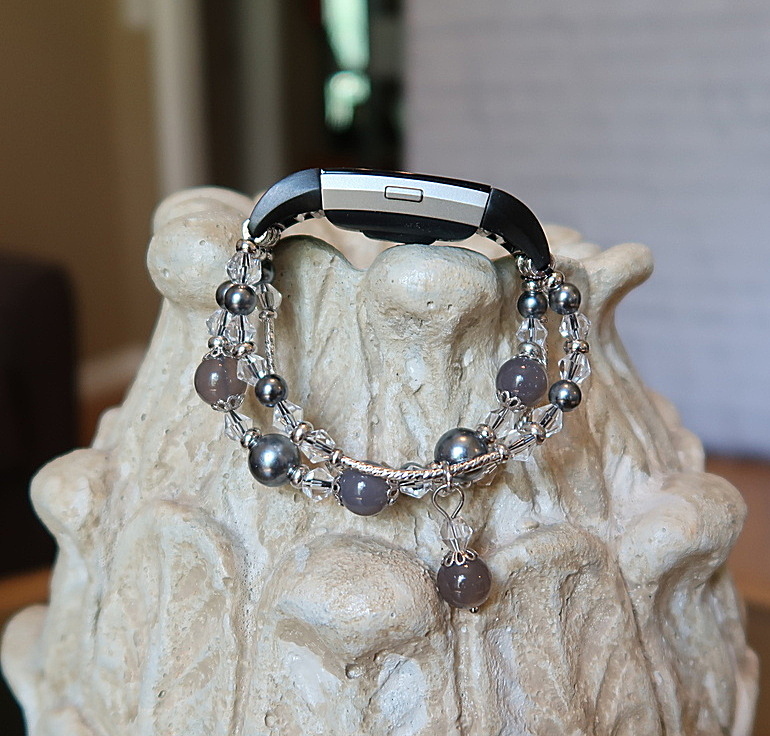 The beaded band is made from three durable and comfortable elastic bands, I wear size small. I love it! I also bought a band in cheetah print, of course!! LOL. 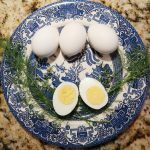 Be sure to watch for my upcoming post about fitness over 50 where I will talk more about my walking routine and the Fitbit Charge 2. 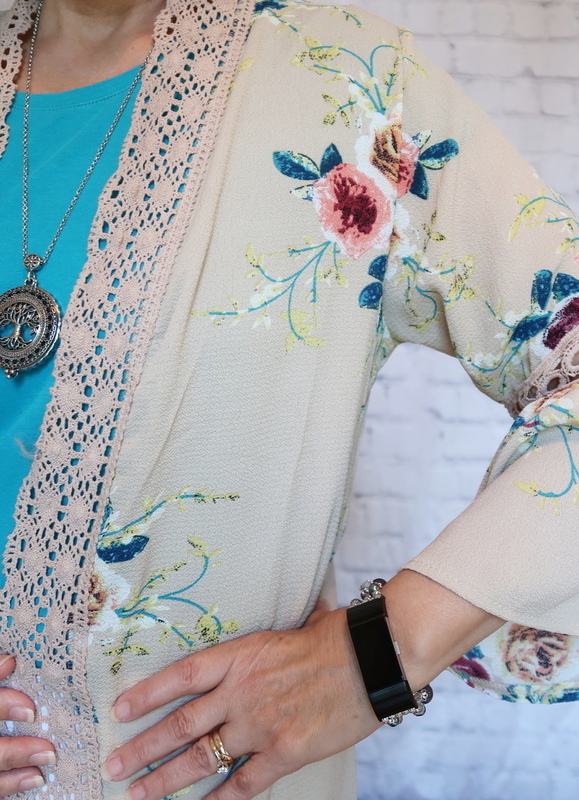 Did you enjoy this post about “Kimono Styling with Reader Pendant and Fitbit Fashion”? Pin It & Share It! You always look so put together, Lori Jo and I love the kimino. It was not what I expected actually as I had a Japanese style in mind. The colours are lovely and I might just take a peek at Amazon to see if I can buy one in Australia. I also love your hair style – is it easy to maintain? Have a great weekend and look forward to your next post. Thanks, Sue! The looks are easy and affordable to put together, wearable and chic, not overdone. My Amazon link should take you to the kimono then allow you to sign into your account as you normally do. 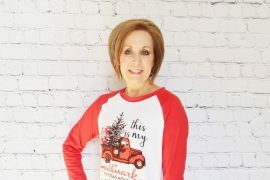 My hair is called an “angled bob” and is easy with a trim every 6 weeks. Longer in the front gives it movement, I used to wear a pixie and it was too short and harsh with age. My hair is silky and fine, so I use mousse on top for volume plus a volume powder at the crown after blow drying with a large round brush, a pick to lift and then spray the heck out of it, ha! Doesn’t take long to do though. I will post about hair and makeup soon. You have a good weekend too, talk soon! I like the kimono, and love the magnifying glass. Hello pretty! This kimono is really catching my eye because it has a little more shape to it than some do. Very cute! I love your hair too. Lori Jo this outfit is so cute! I love your kimono, especially the bell sleeves! I have three of those, but not with those type of sleeves,….. Guess I will have to start checking Amazon more often…lol…. See you did it again, your outfits have inspired me to shop again… Lol I also really like that necklace, it’s adorable. Have a great day! I love your kimono Lori Jo. I bought one in black and white last year and have worn it several times. Now I’m thinking I could use this one especially because I love floral prints. The pendant is also fabulous. Pinning this post for future reference. 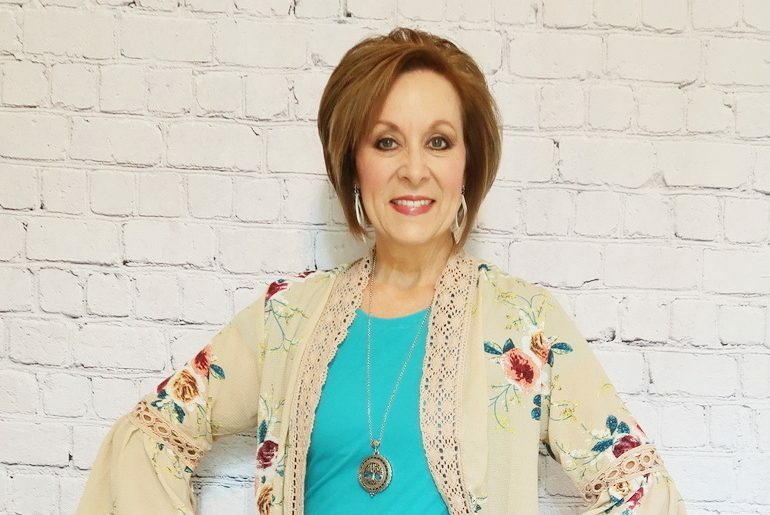 Glad you found inspiration from this post, Patti! It is my first komono, be sure to check out the links in the post to Amazon where I found it, tons of color combinations and great quality at a very affordable price point. I will be buying a few more, such a nice lightweight option as we stay hot here in Georgia through October sometimes! Thanks for visiting and pinning! You are so cute and I LOVE the way you’ve styled this outfit. Thanks for sharing!! I love my kimonos! I use them to dress up the jeans & tshirt office atmosphere we have. And I had no idea that Fitbit had stylish bands now! Love the kimono, for so many reasons! And the pendant is beautiful! Wish is was available now! 😉 Pinned! 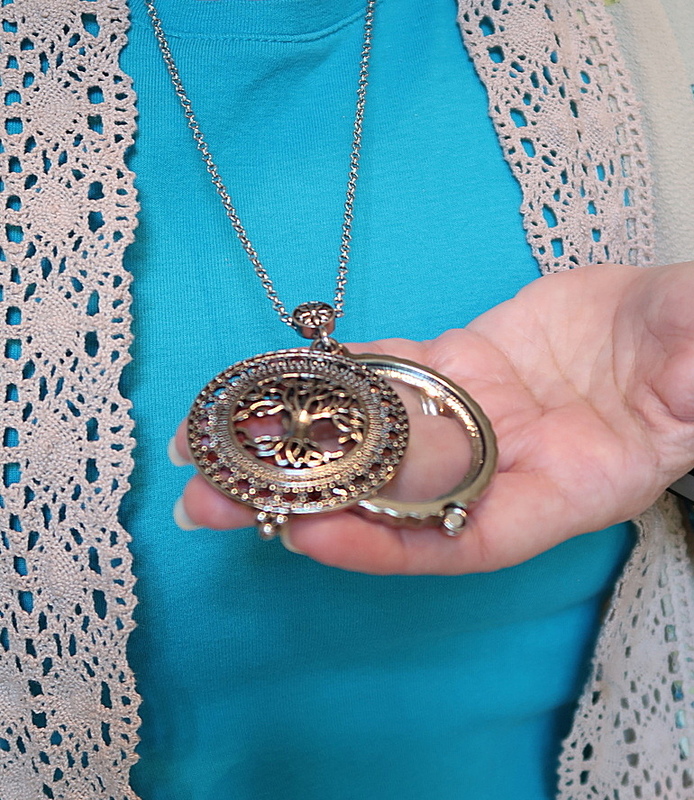 Good news, Julie – the silvertone pendant is already back in stock! FYI. You looks absolutely fabulous! love the outfits. Thanks so much, Maria! Kimonos really are great for expanding a wardrobe and suit most everyone’s style and body type. I do think kimonos are the perfect topper around. There are so many different versions to fit everyone’s likes!! Hey, Girl! Thanks for dropping by, the kimono is rocking for me right now! Keep forgetting to order a couple more for Fall, they really are great for expanding a wardrobe. I really like that this kimono has the lace trim and bell sleeves. It dresses it up more, and I think separates from the ones I seen all the younger set wearing. I really like that Reader pendant as well. So pretty. Have never seen anything like that before! That is such a pretty kimono and you have styled it beautifully taking the blue and adding it to your blouse. I love wearing longer jackets like this Kimono, but sometimes have to watch since I’m not quite 5’4″, they can make me look short. Love the jewelry. 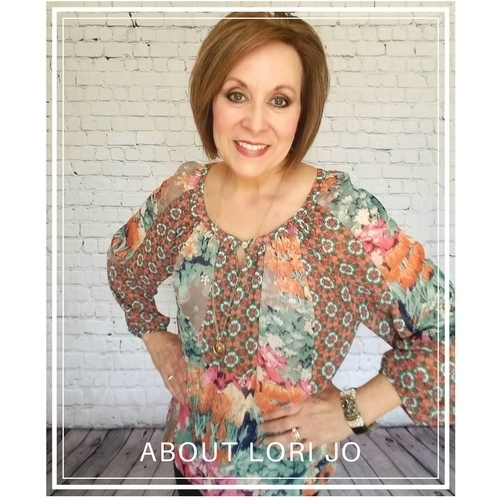 Hi Lori Jo! Love your new kimono!!! It’s perfect with its airy light weight fabric, and the colors are soft. Perfect, as you said, to wear out even in the summer as air conditioning often makes places rather cold. 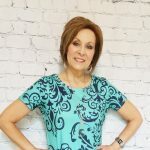 Pinned to my Fun and Funky Clothing board for you and our readers. Thanks for some great ideas! Hey, Barbara! So glad you were inspired by the kimono, and I am proud to be on your board since I am “Fun & Funky” also, LOL. Thanks for visiting!